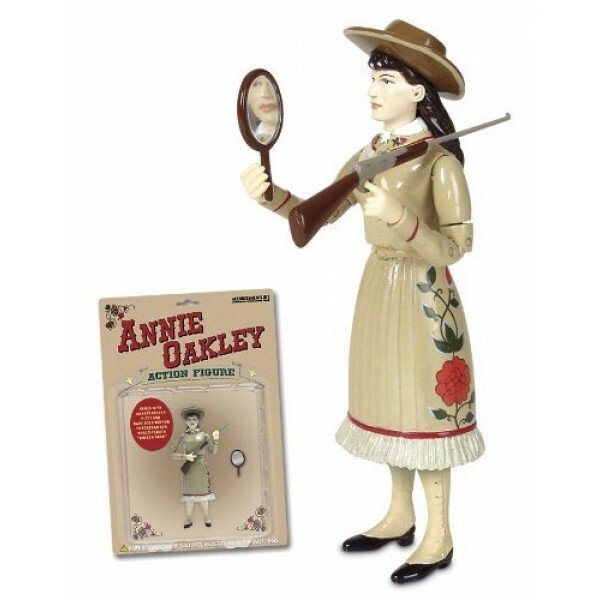 Annie Oakley was so skilled with firearms that she could shoot a dime out of the air and shoot the ashes off a lit cigarette from thirty paces while standing with her back to her target and looking in a mirror! 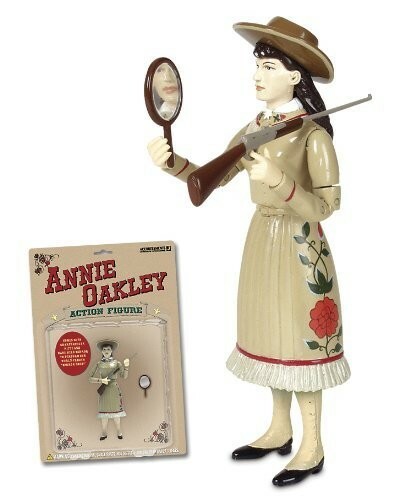 This 5-1/4" (13.3 cm) tall, hard vinyl action figure comes with a mirror and a rifle, so you can recreate her famous trick. For more unique and empowering dolls and action figures, visit our Dolls / Action Figures Collection.